Mustangs have been in my family for a long time so when it came time for me to get a car I decided to go that route as well. My first mustang was a White 98 V6 that I loved for many years and over 230k miles. I frequented car shows and the V6 forums for about 5 years until I ran into a long string of bad luck with the car and me getting out of college and starting life. Finally after 11 years and 6 years of everything under the sun hitting my poor car It was time to upgrade. Long debate between revamping the car I grew up with or just starting fresh...Well when you have a brand new 2014 GT Brembo mustang tempting you at the cost of a V6...It was time for the change. I don't think i got to properly say goodbye to my old V6 that I am sure the dealer just sold for scraps do to the mileage, but its hard to be sad behind 420hp. Hello to all! I hope we can bring some life into the forums. I have been lurking for a while to no real posts. Not sure if the Facebook page has more action. I look forward to starting my next car project car and rekindling my love for mustangs and cars that has been dormant for too long. 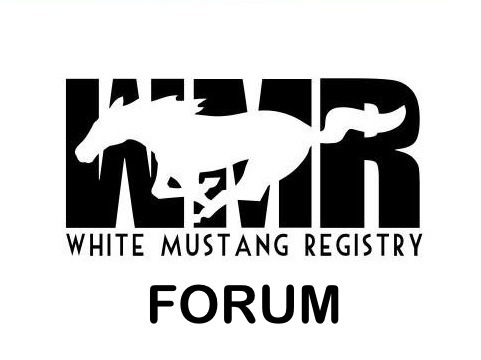 In my normal Lucky fashion (starting out well with the GT) 2 weeks after putting my WMR sticker on, my car gets smashed into in the parking lot and well the bumper got re painted so I'm waiting for my new WMR sticker. but I did pick her back up tonight after a little over a week in the shop. Some quick pics on the phone. Ill get some proper pics with the DSLR once the WMR sticker is back.